Search Engine notifier, kindly updating the search engines when you add a page or blog. Site and blog, giving you the functionality of both on one website, rather than having a separate blog installation. What else? Let’s see… how about the 10,000 or so plugins that can help you make your website a better visitor experience? From SEO to image galleries, calendars to videos and more, the gallery of WordPress plugins spans almost every website need. Some are free, some are paid, but – with a few exceptions – they’re all worth looking at. Redirection creates 301 redirects, which is most especially useful in the dynamic, ever-changing world of site design and blogging. Old blogs become less useful, old pages may be removed. You may even change the URL of a few. From a simple-to-use dashboard inside of WordPress, you can quickly add any number of redirects for better site usability and searchability. No more 404s! Easy to use, quick to setup, the Google XML Sitemap plugin generates search-engine friendly sitemaps. You can update the sitemap with the click of a button. As well, you can remove any pages you don’t want on the sitemap, making it easy to manage and keep updated. The NoIndex/NoFollow plugin serves the purpose of completely blocking search engines from a page, such as in the case of a log in page, or non-indexation of a page, such as in the case of “thank you for ordering” pages. This is a valuable plugin, making sure the pages you don’t want being found by the general public aren’t in the SERPs. This is an excellent tool in terms of SEO, search engine crawling and visitor usability. Broken Link Checker scans and notifies you of broken links, then gives you the option to remove the link, change or leave a line through it. Combined with the redirection plugin, this is a useful way to keep your site updated and let the search engines know the site is staying updated. A lot of times with WordPress, certain java scripts may only be used on a single page, yet they sit in the header of every page. This adds unnecessary lines of code in the other pages. With the Header-Footer plugin, you can keep your global scripts global and your single page scripts on the single page. Ultimately, this means a cleaner (in terms of code) and faster website. Two words: site speed. WP Total Cache gives you the options to minify your HTML, CSS and script files, reducing the overall file size of your site. In turn, this reduces the load time of your site. As well, the plugin caches your images and pages according to the times you set, which is comparable to adding a rocket booster on your car. Can you say fast? Even high performance pages can be better; Google Website Optimizer makes it easy to create tests, comparing one version of a page to another to see which performs better. With the Google Optimizer plugin, you can easily add the tracking scripts needed for this fantastic testing tool. 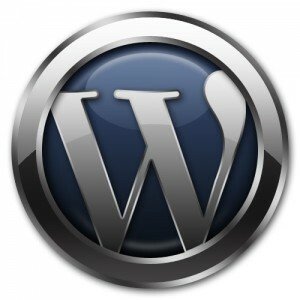 Do you have a favorite WordPress plugin that makes it easy to keep your site updated? Tell us about it!